Ctra Nal 232 Km 83,4, 31590 Castejon, Spanje. 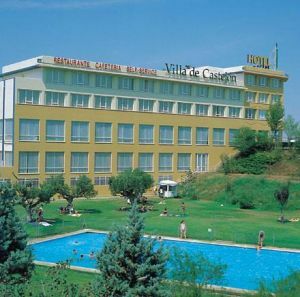 The Villa de Castejón Hotel provides 90 comfortable guestrooms, equipped with full Bathroom, air conditioning, television. Furthermore, it also has a cafeteria open 24 hours, gambling room, and an exclusive area for family and professional events. To complete the offer, the hotel offers a buffet restaurant with a big variety of traditional tastes of its more than 50 dishes. The Villa de Castejón has an excellent situation, being located in the heart of the Ribera de Navarra region and at less than one hour distance to the four capitals of the province: Soria, Logroño, and Zaragoza y Pamplona. 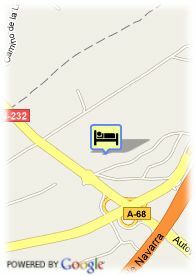 That's why our establishment is the ideal place of accommodation for holidays, and for the business trips, as well.